Special Mentoring Opportunity at AGS! What: Symposium to describe practical ways to get the most out of mentoring relationships as an investigator or educator, establish a longitudinal peer mentorship group under the guidance of a senior leader in the field, and develop individual career goals for follow up during conference calls in the year following the symposium. Why: Mentoring is critical to professional success! 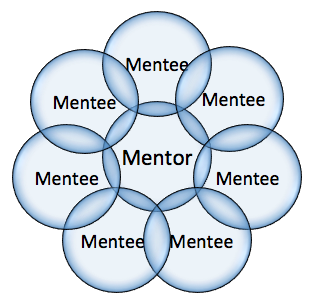 Mentors and mentees have a two-way relationship based on feedback, commitment, engagement, balance, self-awareness, and advocacy (Gillespie, 2012). We need many mentors both senior and peer for various aspects of our professional development. In this session, successful senior faculty members in research and education will share their perspectives and advice regarding mentorship. Participants will then break into groups based on their career focus (investigator or educator) for a discussion with peers and a senior faculty mentor to share career challenges, receive advice and guidance, and develop best practice tips for success. Participants will be required to bring questions for the discussion portion and will be expected to participate in at least two follow-up phone calls with their senior faculty mentor and small group in the year following the symposium. Space is limited and participants will be selected on a first-come, first-serve basis. Looking forward to seeing you all at AGS!